Rayne Water Conditioning of Santa Maria is family owned and locally operated. We are THE company to call for water softener exchange tank service in San Luis Obispo, California. 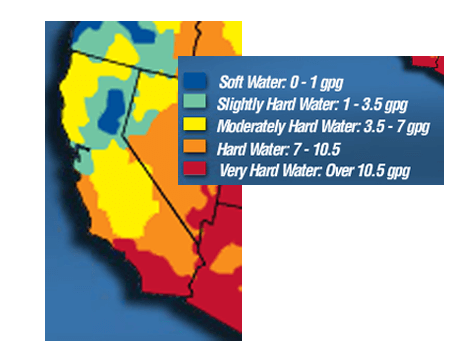 We offer the residents of San Luis Obispo the most environmentally friendly water softening solutions available. Our Water Softener Delivery Service and Portable Exchange Tank Systems deliver softened water without the environmental impact of sodium discharge. Our PE Tank water softeners are also some of the most efficient in the industry; they use less water and salt in the regeneration process than a typical water softener. In addition to our water softener delivery services, Rayne of Santa Maria also provides complete water treatment, water conditioning, and drinking water systems for your San Luis Obispo home and businesses. Believe it or not, San Luis Obispo water contains up to 22 gpg – that’s REALLY hard! What do you know about San Luis Obispo water quality? Rayne’s Water Softener Exchange Tank Service is the most environmentally superior way to soften your hard water. Our water softener service in San Luis Obispo offers the same benefits as an installed water softener in your home, but without out the environmental impact of salt discharge into the waste water system. Here’s what our San Luis Obispo water softener service customers are saying about us.